Abu Dhabi, 22 July 2018: Al Tayer Motors, one of the UAE’s premier automotive dealerships, has entered into the fast vehicle servicing business. The company, represented by Premier Motors in Abu Dhabi, has opened the first Quick Lane Tire & Auto Center in Abu Dhabi’s Khalifa Park area. Staffed by a team of experienced factory-trained technicians, the facility provides services ranging from periodic maintenance, oil & filters change, battery and brakes check, coolant and brake fluid change, AC service, tire replacement as well as wheel balancing and alignment for all makes & models, including light commercial vehicles. “Our after-sales department has won numerous awards at regional and international levels for the quality of service and care provided by its well-trained technicians. Customers in the UAE capital can rest assured that they will get quick, reliable service from our expert technicians at some of the most competitive rates in the market for vehicle servicing within Abu Dhabi city. We plan to open more such facilities across the UAE in a phased manner,” said Ashok Khanna, Chief Executive Officer, Al Tayer Motors. The drive-in facility does not require prior appointments and caters to all makes or models, using quality parts and lubricants from reputed companies such as Motorcraft® / Omnicraft®, genuine parts and premium quality aftermarket parts. Customers also benefit from a detailed vehicle health inspection during every visit. 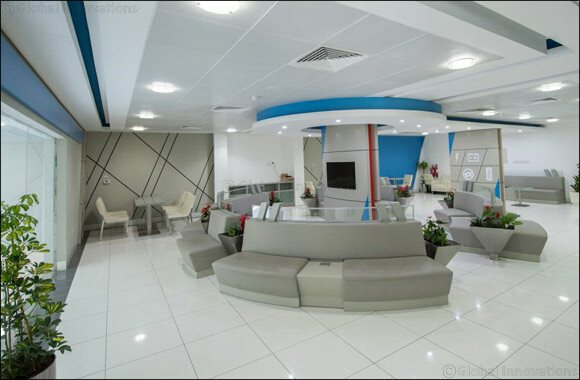 The facility offers complimentary wifi access in a well-appointed lounge for customers to relax while they wait for their cars to be serviced.